Here on southern Vancouver Island, it is possible to find the herpetological equivalent of Bigfoot. Luckily, I have a knowledgeable source that would be on par with having a Bigfoot researcher point out a sasquatch den. 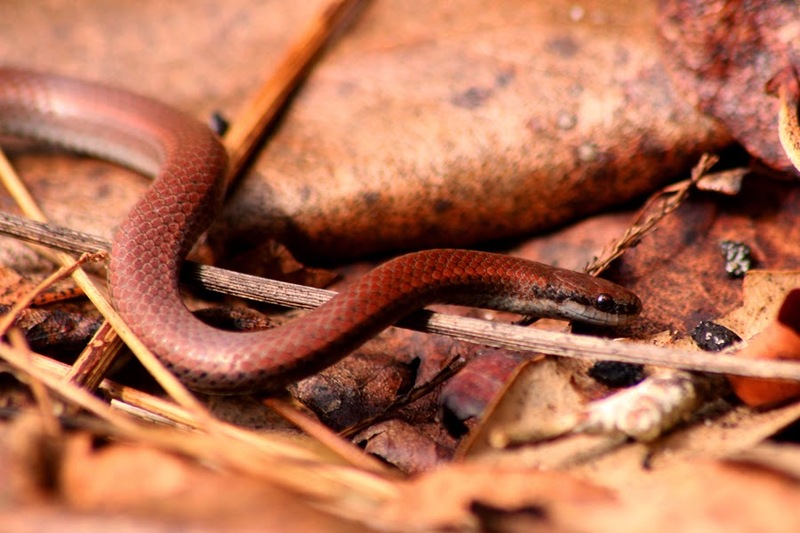 This reptilian Bigfoot, if you're not familiar, is the Sharp-tailed Snake (Contia tenuis). I had no idea such a creature existed for most of my life. 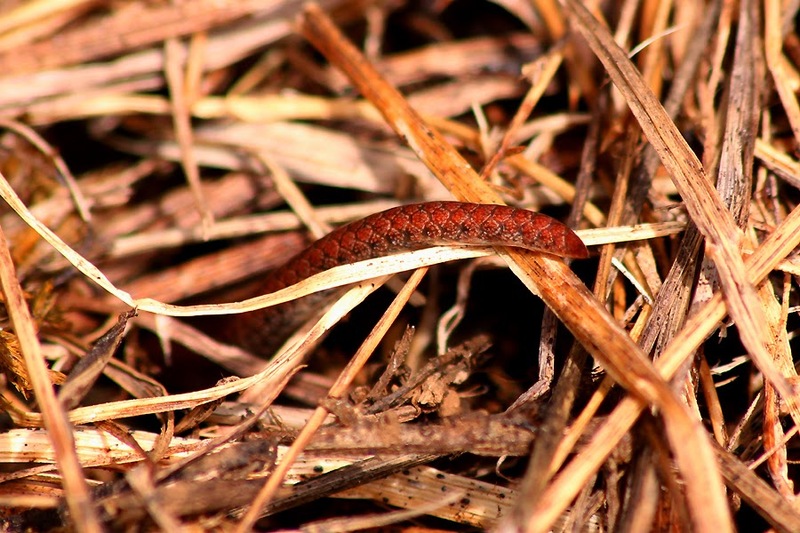 It wasn't until I started working with LGL Limited and found myself doing terrestrial mollusk surveys down in southern Oregon that I learned about this small, primarily subterranean snake. Even then, despite rooting through litter and flipping over logs and rocks constantly, I did not encounter one of these enigmatic creatures. I was thoroughly intrigued about this elusive snake and made a mental Post-it note to seize any opportunity to see one. A few years later, I learned that Camas Hill in Metchosin was a great place to see Sharp-tailed Snakes. There was, however, a catch: it is on private land. Luckily Moralea Milne is the landowner and she is an environmental saint. 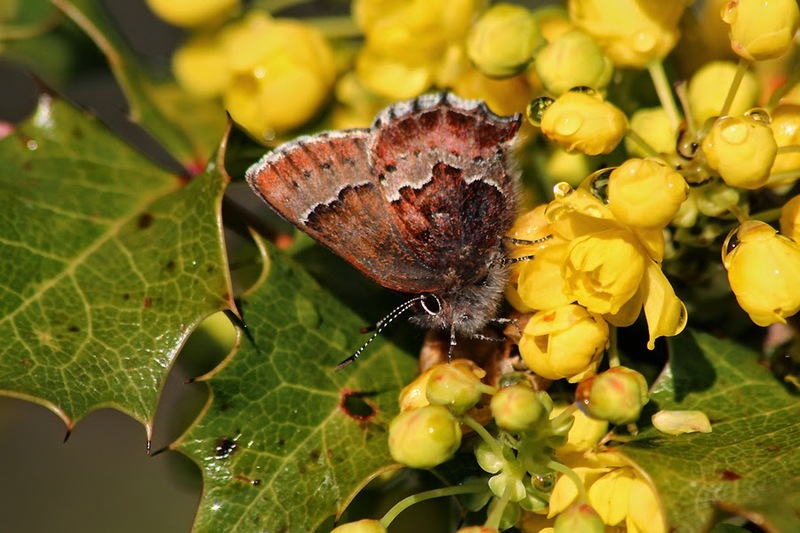 The land is protected in perpetuity through a covenant and will hopefully remain a safe haven for the hundreds of species that occupy the rocky outcrops, dry Doug-fir forests, Garry Oak meadows, and moss balds of Camas Hill. I arranged to meet up with Moralea and she toured a small group of us around the property. Several number-tagged cover objects have been selectively placed on the hillside by researcher and local Sharp-tailed Snake expert Christian Engelstoft, so we visited several of these on our way to the top. Eventually we struck gold with a beautiful little Sharp-tailed Snake and I was able to see what the hype of this mythical creature was all about. That was at least a few years ago and I really wanted to spend more time observing this species, so I gave Moralea a call and got permission to ramble around the property. It is a bit of a crapshoot as to whether you'll see a Sharp-tailed Snake or not up there, but the odds are pretty much as good as it gets in British Columbia. Regardless of whether luck was on my side or not, I knew it would be a great morning up on the hill. That point was made abundantly clear very quickly when I had my first Moss' Elfin of the year at the start of the trail. I made my way up near the top and checked a few cover objects to no avail. 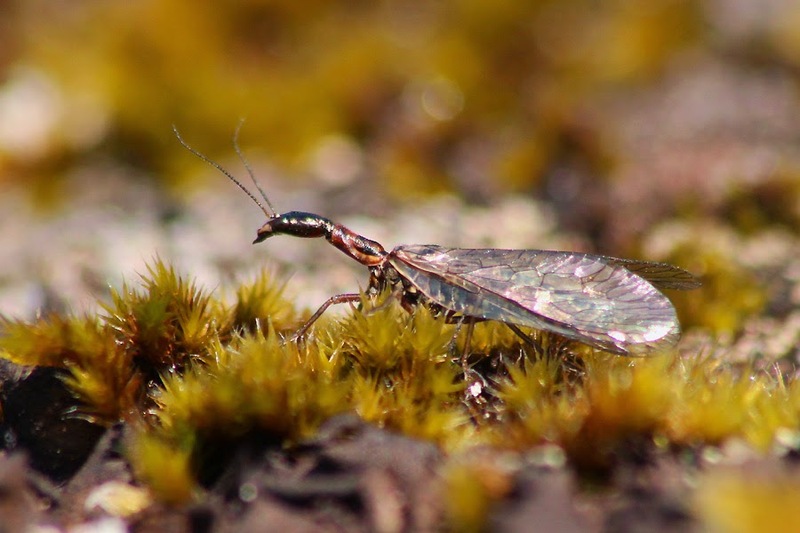 Highlights from the insect world continued to delight me, including a cool snakefly and a marchfly! 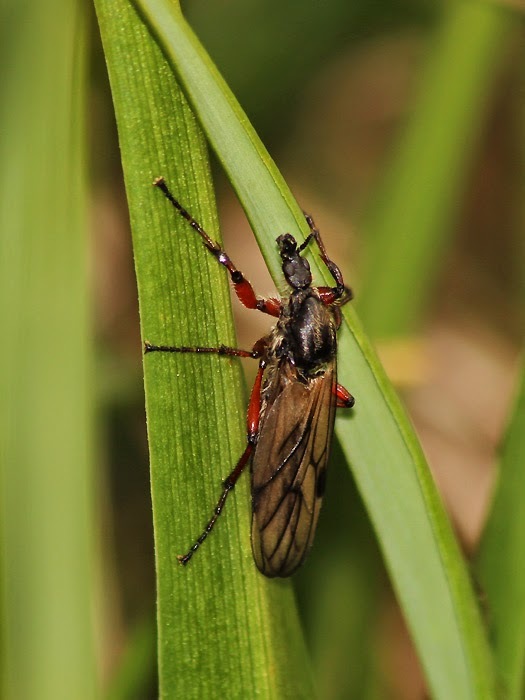 When I see a snakefly I always make me think back to when I first saw one and I described it as a brontosaurus fly. 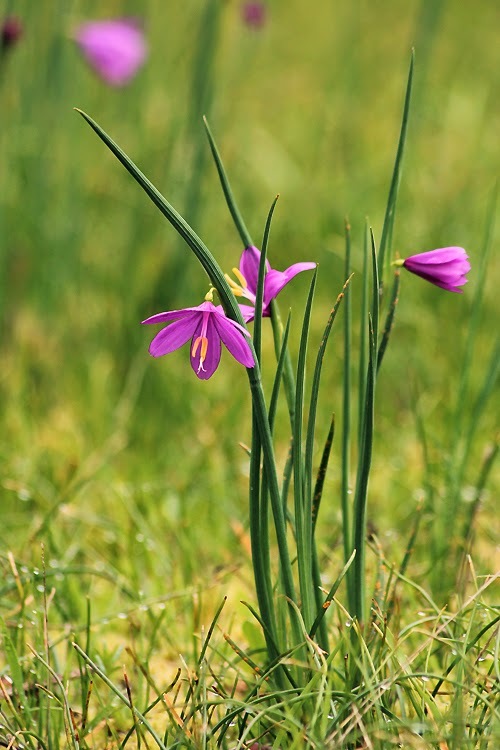 In the early spring, Satinflower (Olsynium douglasii) is one of the first flowers to bloom. Consequently, you can round a corner on a trail and encounter a sensory overload of vibrant purple. I encountered a nice patch of Satinflowers up near the top of Camas Hill and photographed a perfect specimen. Satinflower in full display - stunning! 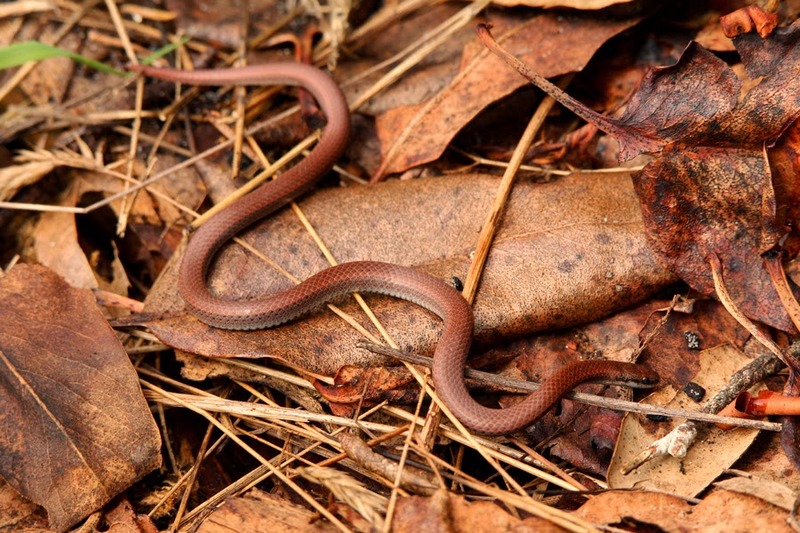 Just my luck - I find a Sharp-tailed Snake and it's only partly visible! Yes, I had found a Sharp-tailed Snake but it was certainly not a very cooperative one. I was excited that I got to see one, but I was really hoping to get some good photos and it just wasn't possible. I started to head back to the trail down and found another cover object. I slowly peeled the shingle back and there was a perfect little Sharp-tailed Snake sitting on the litter. It was very calm and cooperative, so I was able to snap off quite a few photos. 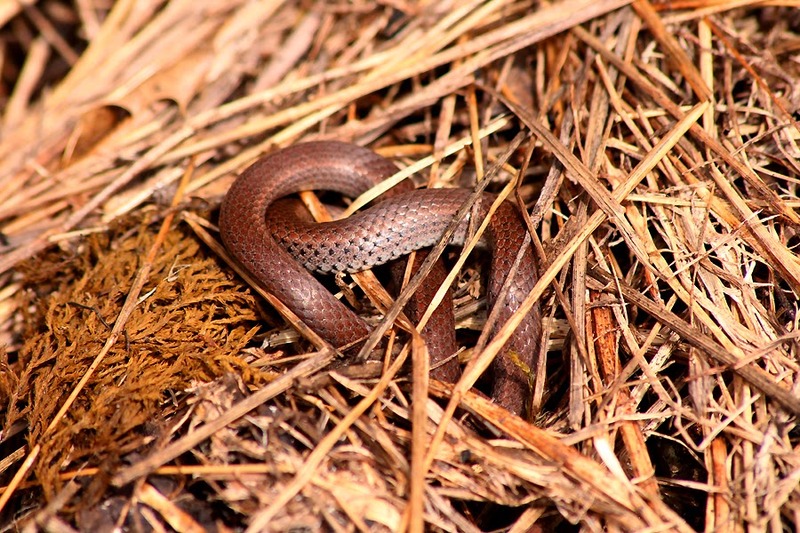 This was the Sharp-tailed Snake shot I was hoping to get - what a great little snake! After several minutes of observing and photographing this mythical creature, a slight breeze stirred the trees. I noticed the Sharp-tailed subtly raise its head and start to flick its tongue. I feel it sensed it was exposed, so it dug its head into the litter and slowly wormed its way down. I thought I would have a chance to photograph that cool pinprick scale at the tail tip, but the last two-thirds of the snake vanished like a vapour. This exit reinforced the enigmatic nature of this gentle snake and left me in awe of my good fortune. This was exactly the hike I needed. The combination of the setting, the sightings, and the serenity were magical and I look forward to my next opportunity to explore Camas Hill.